- a black & white leaflet advertising other anniversary releases from Queen. Original album released in 1982. All tracks mastered at Gateway Mastering Studios, Portland, ME. This 2011 version has been meticulously re-created using the finest modern analgue and digital technology from the original first-generation master mixes. Digital remaster ℗ 2011 Queen Productions Ltd. Under exclusive license to Universal International Music BV. 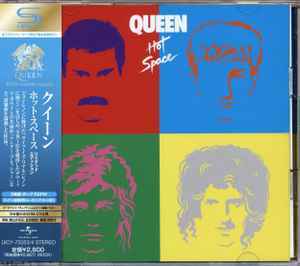 © 2011 Queen Productions Ltd. Universal Strategic Marketing Japan, a Universal Music Company. Mareketed & Distributed by Universal Music LLC.